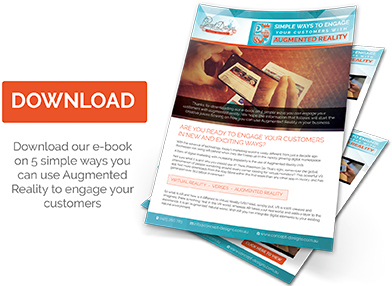 Bring print to life with Augmented Reality and track how people engage with your content. Augmented Reality is the perfect opportunity to engage your target market through the latest technologies. When given the AR experience, your target market will return again, and again, and again. This is your chance to explore endless, uncharted opportunities for engagement with your customers on the Gold Coast. Get in touch with us today to roll out your augmented reality experience for your company. Fill in your details below and we will get in touch with you asap. AR Marker on your business card to turn your business card into a walking, talking advertisement for you. Bring your business card to life with Augmented Reality! AR Marker on a flyer for Internship opportunities targeting overseas university students coming to Australia. When the smartphone camera is placed above the Marker, videos of student interviews appear, allowing users to hear about what others have to say about the internship program, providing a real‐life connection to the user and encouraging action. Let AR help you give your potential customers just that extra little push they need to contact you! One of the challenges construction businesses often face, is being able to show clients how a building would appear in three‐dimensional form before being built. Now you can do so with AR without having to create a physical model! With a simple plan or blueprint image as an AR Marker, you can show 3D buildings which allow your users to view from all direction and angles, giving them an interactive and clear idea of how the building would look when constructed, inside and out! Let your customers find out more about your food product by creating an AR Marker on your packaging. Often there isn’t enough room to have instructions on the limited space on the printed packaging, this is where AR can come in. With an AR Marker, your customers can see new ideas on how they can use your food product through engaging, appealing and interesting demonstrations. Watch how a Recipe card can cleverly come alive with AR to greatly enhance the cooking experience! Running a competition? Engage and entice your customers with the use of AR to showcase the prize! What better way than to introduce the prize in a video that comes to live from a still image, so your customers wouldn’t want to miss out! Make your competition stand out with AR and watch your entrants list grow like never before! Imagine how much more you can tell your customer if your printed materials can tell a story, evoke feelings and emotion, and remind customers why they need your product! Any product and printed material can be used an AR Marker, in which customers can learn so much more about your business through video presentations just by having a brochure or product in front of them! Show them that your business cares by giving them that extra communication and your customers will surely remember you! At last! Many people always wonder where a bottle of wine comes from; perhaps it’s a distinctive taste, or an interesting winery name on the label. Now this information can be available to your customers anytime! Usually the wine bottle label can only allow very basic details, but with the use of AR, you can find out where your wine comes from, see the winery, and how it’s made. Imagine the conversation starters your customers will have from all this information! Make your customers visualise themselves walking through the vineyards as they enjoy your wine with AR! Are you a real estate agent and find it challenging to present a listing with just printed material? Do you feel that photos just don’t justify the beauty of the home that you’re selling? With the help of AR, your listings can all come to live! Showcase each home with a video walkthrough so people can ‘see’ its true potential, you can talk about its features and engage with potential buyers on a whole new level. Gain a head start in building that relationship with your customers through the use of AR, and watch your sales grow! When it comes to fitness, there is no ‘staying still’! How can a static image be more inspiring? Well, AR has the solution! 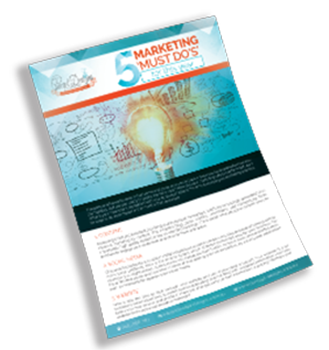 With a Marker on the still image, you can provide customers with an interesting, motivating and engaging message on your printed marketing material. Give your customers the attention they deserve by incorporating AR in your fitness promotions today and ‘get things moving’!